Muslim bad girl Zainab Mir and her best friend Amra Abbas have thwarted proposal-slinging aunties and cultural expectations to succeed in their high-powered careers in Boston. What they didn’t count on? The unlikely men who shatter their friendship, including a childhood friend who turns out to be more traditional than he let on, and a right-wing politico with career-threatening secrets of his own. When the personal and the geopolitical collide, and a controversial prayer service leads to violence, Zainab and Amra must figure out what they’re willing to risk for their principles, their friendship, and love. When I was in high school I read everything Allen Drury had written up to that point. Many of them had written before I was even born, so they were a bit dated, but they gave me a love of political fiction that remains to this day, and probably explains my lingering obsession with The West Wing as well. 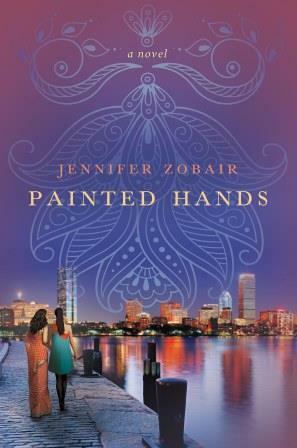 It is this love that was the main reason I accepted TLC’s offer to read and review Jennifer Zobair’s first novel Painted Hands. The practical upshot of all this: Painted Hands is one of the best books I’ve read all year. All of the women – Zainab, and her best friend Amra, especially, but also Rukan – feel like the sort of women you might run into if you live and work in a major city. They are three-dimensional, and may share common religious roots, but are distinctly different women, as they should be. 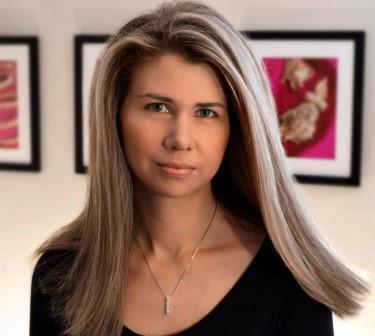 Amra’s anglo friend/colleague Hayden is as well-developed as the others, and her story, too, is compelling. Likewise, the men in the story are all fully-formed. Chase, the right-wing radio personality and Mateen, the childhood crush turned potential love interest are complex, each with their own desires and flaws. On the NPR show this morning, the creators of Toy Story said that one of the first rules of storytelling is to make the reader/viewer care. Jennifer Zobair did this with every character she created. Even with the characters I didn’t like, I still wanted to know what their story was, and whether it would end well. More than just making me care about her characters, however, Zobair’s writing let me glimpse a culture other than my own. Spending my formative years with just my mother, and growing up in a liberal family where the ultimate dinner table whining would be an accusatory, “But MOM! He made a Sexist Statement!! !” the whole notion of HAVING to get married is as foreign to me as putting cheddar cheese on pizza was the first time I encountered it in California, and I’ve never had to live with proscriptions against any kind of clothing or makeup (except blue eyeshadow, but that really should be illegal in most cases anyway). In Painted Hands, however, we get to see the way Islam is practiced in a variety of American families, and what it means to have one foot in the modern world and another in a conservative religious tradition. As someone who wasn’t raised in any particular religion (we are culturally Catholic, attended the UU church on and off, and, as an adult, my Baptist husband met me half-way and we’re Episcopalian), getting a peek into any spiritual practice is fascinating to me. I’m very fortunate to have a circle of friends and acquaintances from many countries, cultures, and religions; for those who don’t, or even if they do, Painted Hands is an excellent introduction to Muslim-American culture, wrapped in a great story. Goes well with… a really good korma (I like chicken, but vegetarian is good) and iced mint tea.